If I were to conduct a survey of college students at Penn State with a stuffy nose, sore throat, a cough, and constant sneezing I guarantee about 70% of students would have these symptoms. The second a moment of silent arises in any of my classes, it is constant coughing. We are in the midst of the common cold plague in the college environment and it is contagion. How does the common cold arise? My mother always told me to never forget a jacket when the weather changes especially after sweating, and I think she might have been right. Dorms and classrooms are flooded with germs and it is hard to stay away from them. The common cold usually contains symptoms such as, a sore throat, coughing, sneezing, and runny nose. Exposure is one of the most common reasons for a cold and this definitely explains why so many people have it. At such a vast University like Penn State, we are exposed to different people in our dorms, classrooms, and even in our social life. Also, weather change has a huge impact on the common cold. The transition from summer to fall makes us more susceptible to colds because this is where we see the greatest drop down in temperature. Another common factor is the stress students face which will also lead to a lack of sleep. Not getting enough sleep, combined with the climate change and exposure to other students in crowded areas, seems to be the exact reason why students like me suffer from the common cold. As we have been discussing in class, smoking is an extremely bad habit to get into, and not only does it cause lung cancer, sharing a boge at a party can not only put you at the risk of getting a cough, but also getting other diseases such as mono as well, and nobody wants that. But when do we know that it is more than just the common cold? 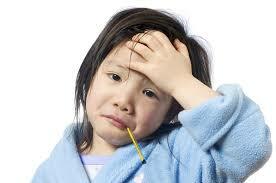 Usually common cold harsh symptoms only last for up to a few days. If you experience drawn out symptoms and constant high fevers, this may be when you want to go get it checked out. Difficulty breathing causing you to lose sleep can be a bigger issue. It is often hard to tell the difference between the common cold compared to a virus like the flu because the symptoms are so similar. It is important to know when you must seek help, because symptoms will only continue to get worse without an antibiotic. So what’s the moral of the story? You can not really prevent the common cold, but what we are putting in our bodies makes all the difference in the world. The proper amount of sleep (as hard as it may seem) is crucial to a healthy body. Also, making sure you are drinking all of the right fluids (and not just a natty light every night) is also important. So stay with me here guys and grind out this common cold plague for just a couple more weeks. This entry was posted in Uncategorized on September 15, 2016 by Jackson Grey Hope. Before coming to Penn State, I never got sick. In high school, I missed a total of four days over the course of four years, and all were due to vacation. I would consider myself a healthy person. Since coming to Penn State, I have seen how many people easily get sick here. Even I was battling a cold a little over a week and a half ago. I agree with you that since Penn State is such a big place with so many people, there are bound to be germs and sicknesses floating around. I agree also that preventing the common cold is difficult, but not impossible. Here is a link that gives the best methods to keeping that common cold at bay. I can totally relate to this post because I got a cold just a few days ago and I am still recovering from it now. To me, it is so frustrating that a common cold is more likely to be passed around in a place like University Park when this is the place that we need to be fully energized and focused. I know that when I am sick all I want to do is snuggle up in bed with a nice, warm coffee from Starbucks; but no, now when I am sick I need to sit in a class with 300 kids and take notes. It is not by any means ideal. Also, it is only September, prime cold time is yet to come! This post caught my eye because at the end of my first week here I caught the common cold. I honestly couldn’t recall a time where I felt more sick than I did during the first few weeks of school. A good point that you mentioned is that the weather could have an impact as to why people at Penn State are getting the common cold. This made me think that also a change in location could contribute as to why people get the common cold. I am an out of state student that is used to very different weather around this time of the year. You also seem to raise a good point when you talk about how lack of sleep could tie into this. Without energy, one’s immune system can go down. I think what you say in your article really seems to reflect my own circumstances. I would also like to say that I think freshmen could be the most susceptible to having a common cold. With the new transition so many freshmen are making, they are prime targets for the common cold.